During the holiday break my wife and I were able to get out a bit and do some antiquing, something I never thought would be fun but we quite enjoy. A large part of it for me however is shopping for tools to use in the shop. My recent flirtation with hand tool woodworking has blossomed into a pretty heavy romance, and I can safely say that we’re seeing a lot of each other now. One of the major struggles with this type of woodwork is that the tools are generally expensive, shoddily made, or no longer made at all. The best answer to all three is to find old tools that still have some life left in them, revive them and use them. The old tools are often very well made and can be found cheaply at times. The trick is finding them, and thus we hit the antique stores. I have a number of other hand tools and what not I’ll post about later, but the recent scores from the holiday shopping are a nice block plane, a frame/bow saw, brace, and really fun folding ruler. Found this in an antique store in Portland with very little wear in fantastic condition. 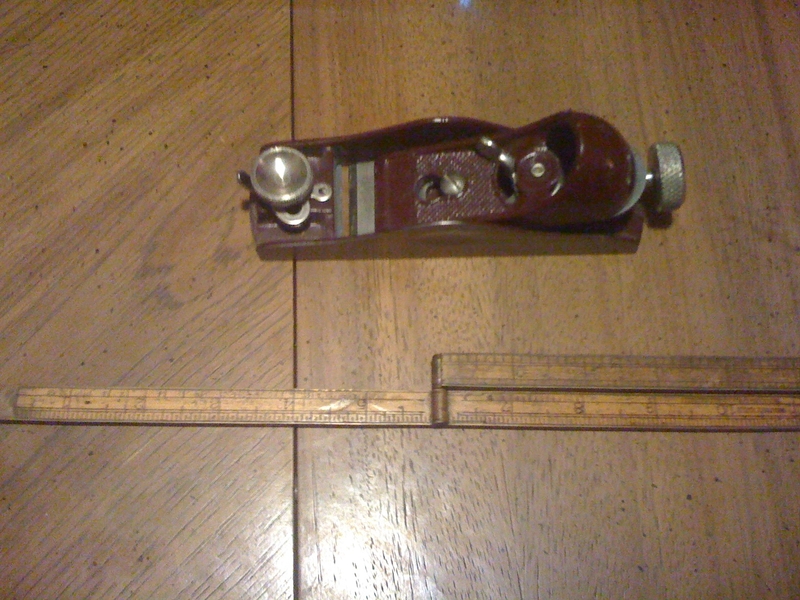 Looks hardly used, and a quick sharpening and it was put to immediate use in the shop. Bought at the same time as the block plane, this folding rule is a marvel of boxwood and brass hinges. It’s 2 foot rule that folds to 6 inches. The outside is pretty grubby but the inside is still relatively clean. 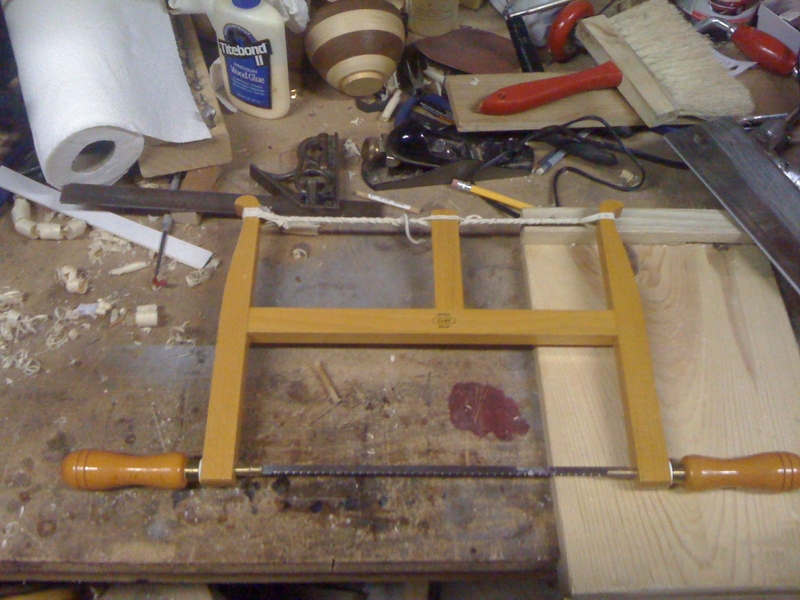 One hinge is a bit dodgy and I need to see if I can fix it up a bit because it’s a pretty useful tool. A while back I scored a full roll of auger bits of all sizes, and have been looking for a good usable brace to go along with them. I have this funky cheap knock off brace that had such amazingly warping that was not only useless but dangerous as well. Most braces I find are rusted, or broken but this one had some scrapes on the bit holder, but other wise solid. 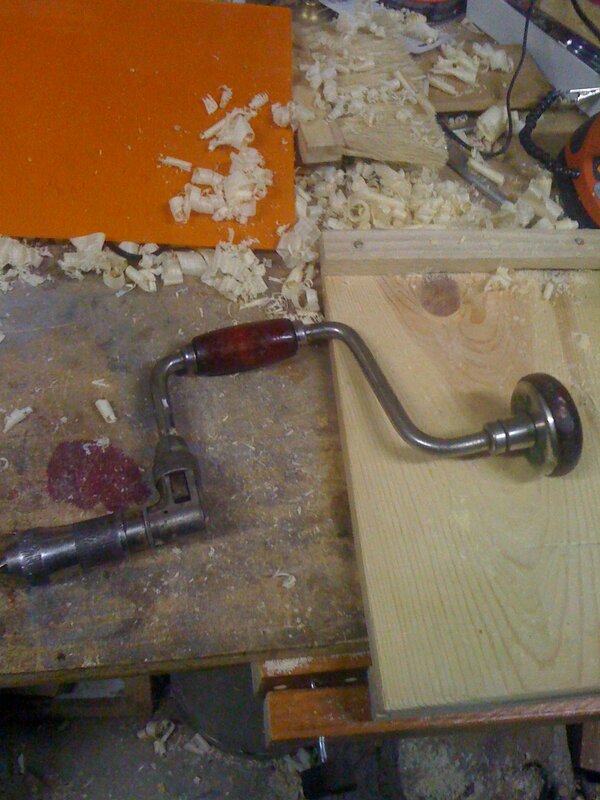 Cruising through Second Use is always fun, but this time I found a tool as well as wood. It’s nearly brand new condition, no wear with a sharp blade. Marked with “Clay Sheffield England” on it, it’s a bit of a mystery. The string is all wrong, and already breaking but that can be replaced. The blade is sharp and usable. That and a plank of bamboo plywood and that was a good day of shopping. More to come as I document my toolbox of hand tools.